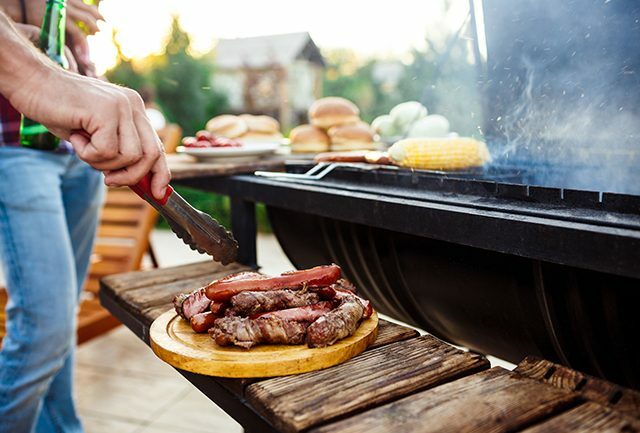 1) Summer is a time for entertaining family and friends with cookouts and barbecues, so make sure these foods don’t end up down your drain. Fibrous foods, such as celery, asparagus, potatoes, etc. can clog drains, and so can grease or oil, coffee grounds, rice and pasta, and of course trash. 2) Summer fun involves beaches and sand, hiking trails and camping, and it’s a good bet that it comes with an extra dose of dirt at the end of the day. When you’re washing up after your adventures, make sure you keep the worst of it out of your drains. They weren’t designed to handle large amounts of sand, gravel and mud, and could become clogged or damaged. Instead, hose yourself—and any kids or pets you took with you—off outside and knock the debris from clothes you plan to place in the washing machine. Your drains will thank you! 3) Do you have trees planted in your front lawn? Any kind of tree growth can cause roots to make their way to your sewer line in search of water. If you suspect any damage (ie: sewage backups in your lowest level), give us a call to check the lines. a) Install a sump pump to collect and dispel and water that collects in your basement. If you already have one, make sure it’s in good condition. b) Keep your gutters, downspouts and other drainage systems clear of debris. c) Consider having a professional look at your property’s grading. You may need to shift some earth or add more drainage to keep water away from your foundation. 5) Before your vacation: Because pressure problems mean that leaks and floods most often take place when the system isn’t actually being used, you’re most likely to experience a leak while you’re asleep or away. Prepare for vacation by turning off your system entirely using your master water shutoff switch. There’s one other thing that summer is known for, buying and selling homes. Remember to call Sewerinspection.com for complete sewer inspection reports for your home – 925.932.5432 – and to visit and “Like” the Facebook page: Click Here.